Compass was formed in 1997 by its current principals, Charlie Wilkins and Anker Heegaard. Compass has always been a small business in which the key principals provide direct advisory services to our clients. Over more than a decade, our primary clients have been state and local governments, federal agencies, and non-profit foundations and intermediaries. 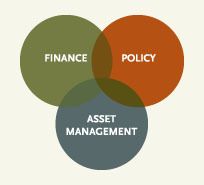 Compass’ core competencies are affordable housing finance, asset management, and public policy. We have specialized expertise in the design of funding mechanisms, Green building issues, multifamily data, federal housing programs and their regulatory requirements, and disaster recovery issues. We bring a unique perspective: a balanced understanding of financial, operational and public policy considerations that drive affordable housing, and of the ways they interact. Sustainable housing: Compass has been central to the financial sustainability issue in affordable-multifamily housing. We have been the source of virtually all of the intellectual content around how to structure affordable rental housing for long term viability. Program Design and implementation: We have best-of-class experience helping government clients to design and implement affordable rental housing production and preservation programs. Disaster Recovery: We have been integrally involved, working with the States of Mississippi and Louisiana, in disaster recovery housing issues and programs. Green Housing: As key advisors to HUD on the Green Retrofit Program we have significant experience helping clients design and retrofit Green building dynamics into affordable-multifamily housing programs and economics. On a daily basis, our work is accomplished through consultation with stakeholders and industry leaders, the creation of financial models, training and direct technical assistance, and through our ability to distill these elements into cogent written materials. Compass has an extensive list of current and past clients, including: hurricane recovery support to the States of Louisiana and Mississippi; program design and implementation support to the U.S. Departments of Housing and Urban Development (including the offices of Community Planning and Development, Affordable Housing Preservation (Mark-to-Market), the Office of the Chief Financial Officer, and Public and Indian Housing) and Agriculture (Rural Development); policy support to the Millennial Housing Commission; research and analysis for the John D. and Catherine T. MacArthur Foundation; portfolio analysis for the Vermont Housing and Conservation Board, litigation support to the U.S. Department of Justice; and program support to NeighborWorks America, and StrengthMatters—a consortium representing non-profit housing developers. See our Representative Assignments page for more about this work.